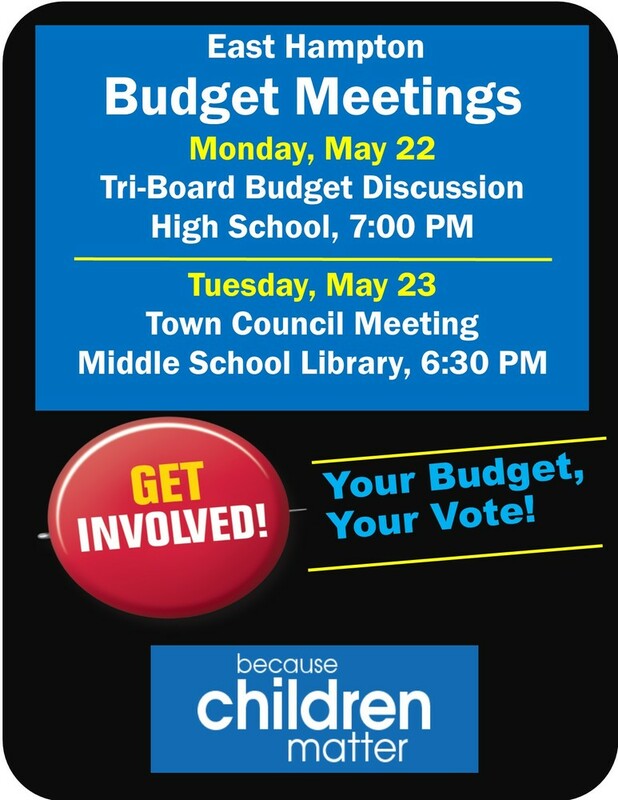 Monday, May 22 is the Tri-Board Budget Discussion at 7:00 PM at East Hampton High School. Tuesday, May 23 is the Town Council Meeting at 6:30 PM at East Hampton Middle School. Your attendance is important!